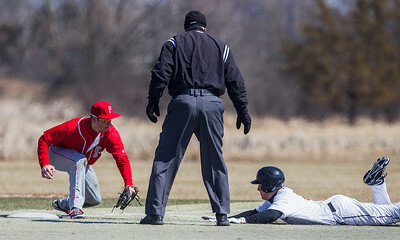 Kyle Grillot - kgrillot@shawmedia.com Crystal Lake Central sophomore Anthony Amadio (left) tags Palatine's Nolan Gavin out at third during the third inning of the boys baseball game Monday in Crystal Lake. 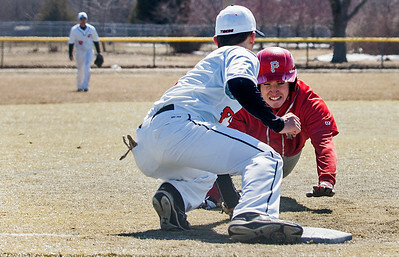 Palatine beat Crystal Lake Central, 7-6. 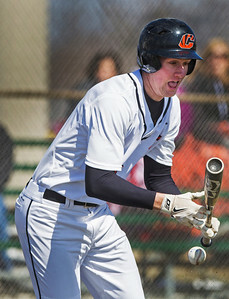 Kyle Grillot - kgrillot@shawmedia.com Crystal Lake Central senior Luke Francis attempts to bunt out the ball during the fifth inning of the boys baseball game Monday in Crystal Lake. Palatine beat Crystal Lake Central, 7-6. Kyle Grillot - kgrillot@shawmedia.com Crystal Lake Central senior Luke Francis (left) misses a catch while Palatine's Brad Bauer hits first base during the fifth inning of the boys baseball game Monday in Crystal Lake. Palatine beat Crystal Lake Central, 7-6. 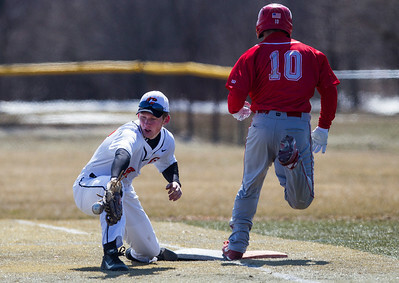 Kyle Grillot - kgrillot@shawmedia.com Crystal Lake Central sophomore Anthony Amadio (left) tags Palatine's Nolan Gavin out at third base during the second inning of the boys baseball game Monday in Crystal Lake. 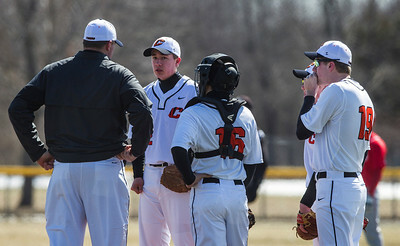 Palatine beat Crystal Lake Central, 7-6. 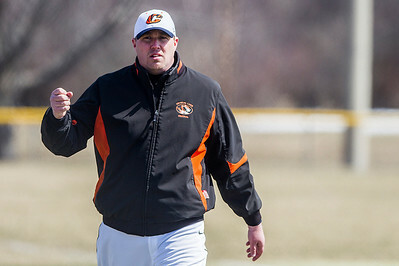 Kyle Grillot - kgrillot@shawmedia.com Crystal Lake Central head coach Daniel Badgley walks towards the dugout during the fourth inning of the boys baseball game Monday in Crystal Lake. 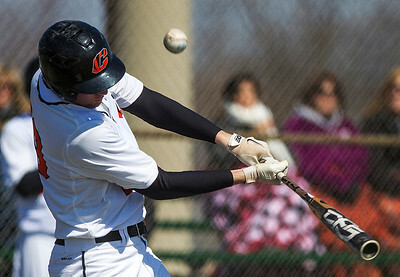 Palatine beat Crystal Lake Central, 7-6. 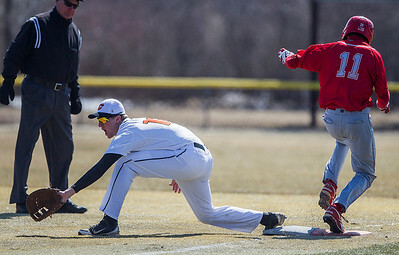 Kyle Grillot - kgrillot@shawmedia.com Crystal Lake Central junior Anthony Koch (right) slides towards third base before being tagged out by Palatine's Zachary Serna during the fifth inning of the boys baseball game Monday in Crystal Lake. Palatine beat Crystal Lake Central, 7-6. 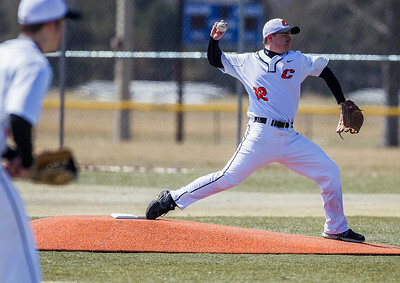 Kyle Grillot - kgrillot@shawmedia.com Crystal Lake Central junior Robby Cormier (12) pitches the ball during the second inning of the boys baseball game Monday in Crystal Lake. Palatine beat Crystal Lake Central, 7-6. 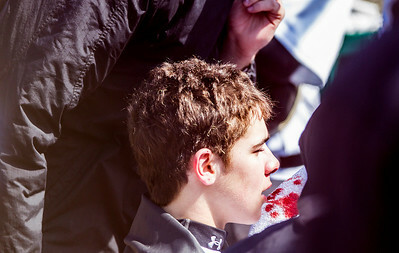 Kyle Grillot - kgrillot@shawmedia.com Crystal Lake Central head coach Daniel Badgley talks with junior Robby Cormier (12) during the second inning of the boys baseball game Monday in Crystal Lake. Palatine beat Crystal Lake Central, 7-6. Crystal Lake Central sophomore Anthony Amadio (left) tags Palatine's Nolan Gavin out at third during the third inning of the boys baseball game Monday in Crystal Lake. 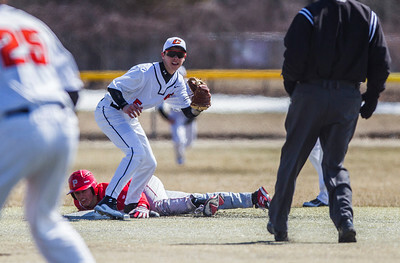 Palatine beat Crystal Lake Central, 7-6.